Here are a few rainy day activities for kids that have helped my children and me survive the rainy days or days where it is too cold or hot to play outside. 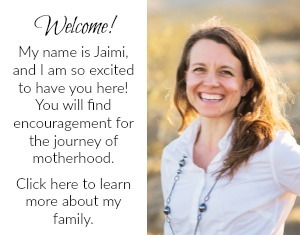 I hope they can be a benefit to you as well! 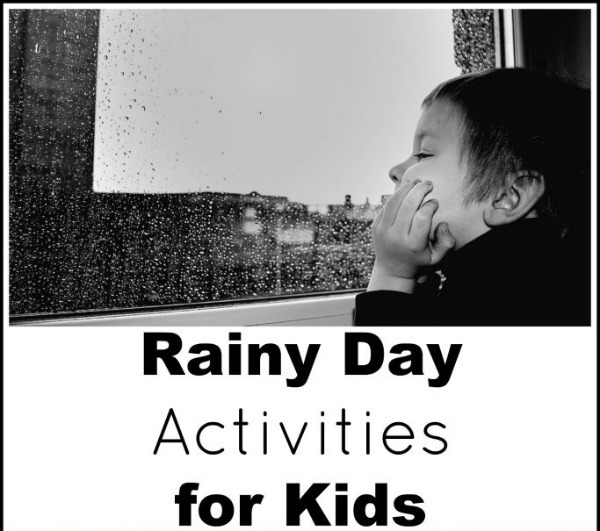 These rainy day activities are a staple of our homeschool preschool activities. They are easy to prep and great for multiple ages. Good learning for a day when you are stuck indoors all day. 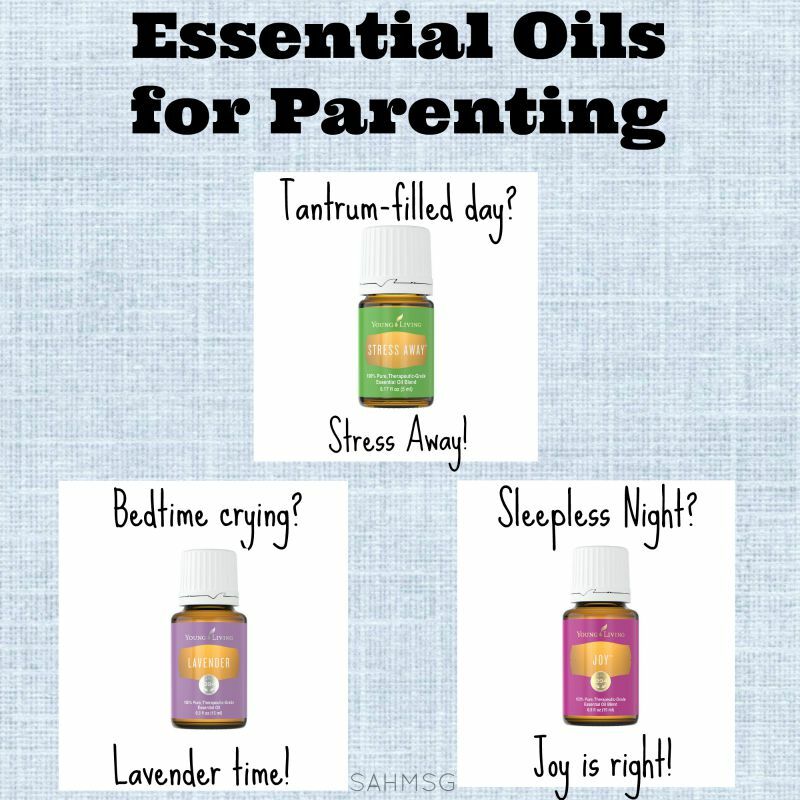 A running series of activities for multiple ages that require only one supply each! Perfect to try on a rainy day at home with kids. Create an indoor or outdoor hopscotch mat from a yoga mat and duct tape. Get the kids moving even when inside all day. Make some homemade play dough and then play with it like this! 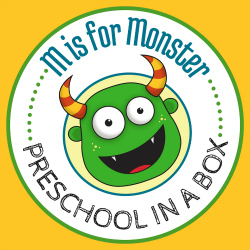 Great for toddlers and preschoolers. Tips for creating a fun active play and sensory experience with shaving cream. 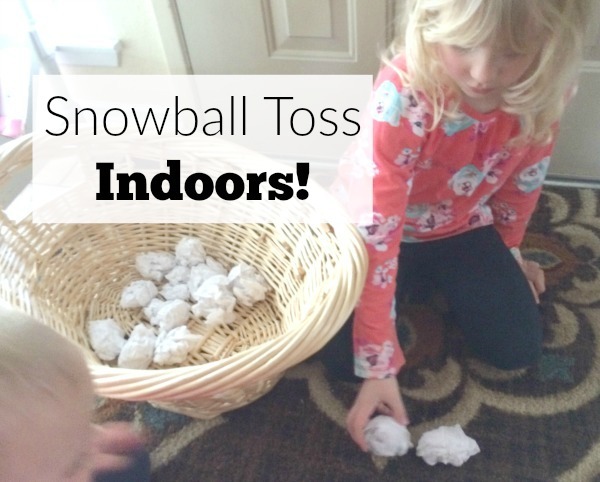 Using homemade bean bags, this simple toss game is a great way to practice math, eye hand coordination and get moving when stuck indoors. A tent, directions for making a toy campfire, and even ‘roasting’ marshmallows will make for some fun indoor time day or night. A silly way to play and clean at the same time! Set the sidewalk chalk in a bucket and let the rain help you prepare it for this fun art activity. Try this resource of simple infant activities to keep your baby active on a bad weather day. So simple to prep, these shape mats are waterproof so your child can use them again and again to explore shapes with shaving cream. Simple activities for toddlers to do at home, and many are great for rainy day indoor play! An easy and simple way to explore creativity and requires little prep time or clean up time. Book idea included! You use cloth grocery bags to make these simple dress up items that can be personalized and used over and over again in pretend play. These songs teach and are great for breaking up moments when the kids are getting stir crazy indoors! Over 40 ideas for older toddlers and preschool. More Multi-Age Activities for rainy days HERE. These are great ideas – I think several could apply to keeping kids entertained when its raining during a camping trip – will be keeping these in mind for future reference! Wow! Amazing idea! Really nice thought to keep kids busy in rainy day. Thanks for sharing such a lovely rainy day activities for kids in rainy day. I am trying to follow this for my kids fun. They must love it. Wow! what an idea! it’s really amazing though to keep kids busy on rainy days. 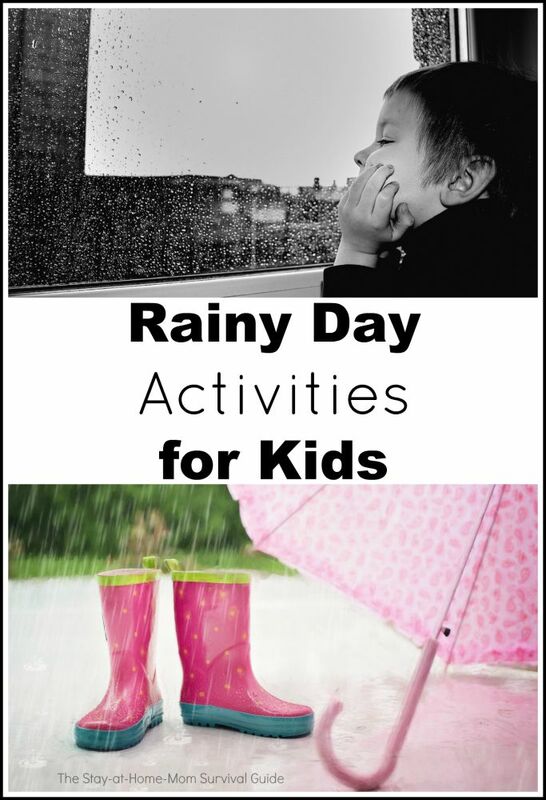 I just loved this awesome rainy day activities for kids. Great ideas! I love the bean bag toss. We just moved so we have plenty of boxes! We also have a rainy day box in his closet. Its filled with craft supplies and puzzles! I like your idea of a "rainy day box" that is saved for those inside days. Great way to keep the attention of a young one. I will have to try that! Thanks for your nice comment.